A 26-year-old man was killed by a drunk driver in a Honda Civic in Longwood on Aug. 24, 2012, police said. 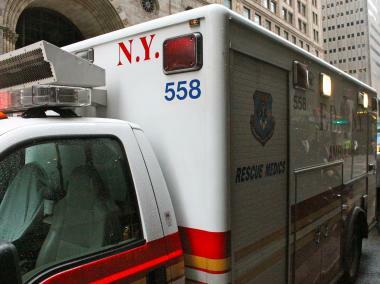 THE BRONX — A 26-year-old man was killed by an allegedly drunk driver in the South Bronx early Friday morning, police said. Feliz Orlando, 21, from Pennsylvania, was traveling west on Timpson Place in his 2003 Honda Civic around 1:15 a.m. near Avenue St. John in Longwood when he hit a man crossing the street, police said. Emergency responders arrived soon after and found the victim, Jason Tavarez, 24, lying in the street in front of 588 Timpson Place, where he was pronounced dead, according to police. Orlando was arrested, and has been charged with vehicular manslaughter and driving while intoxicated, police said.